Start managing your Grants easily with everything you need, in one place. 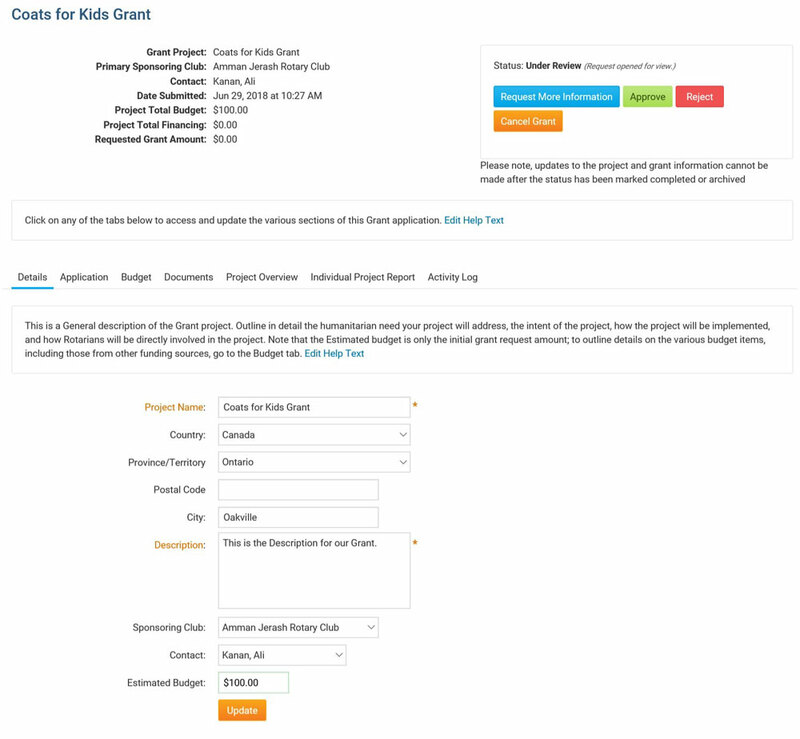 The Grants module is an add-on module for the District version of ClubRunner that allows all clubs in the District to apply online for grants, and for Grant Committee members to login and review all active and archived grants in their District. The approval process includes a workflow that allows the District to either approve a grant, or request further information, with as much collaboration as needed. Documents and other files, budgets and payment breakdowns, as well as a District cash flow summary are all tracked. Information changes are logged, and an audit log allows the committee to see the lifecycle of a particular grant. We understand that the elements and workflow of each Grant will be unique to the districts over time; therefore this module has been designed with a flexible infrastructure that will accommodate customizations by District. Furthermore, each District is able to customize the help instructions throughout the different stages with their own wording to best assist their clubs with following the correct procedures. This will be open to all clubs in the district. Clubs can initiate a grant request online to be reviewed by the District’s Grant Committee. A collaborative approach means that the information gathering for the grant can occur over several passes. For instance, if a club has not provided enough information in certain areas, the Grant Committee can request further information and send the grant back to the club for review. The club internally, can continue to post information and save their application as a draft and submit only once they are satisfied. The Grant Committee will only be notified to review the grant once the club has submitted it for review. The system will trigger notification emails at each step in the workflow and at certain trigger points. This means that committee members will not need to constantly check for changes. Each grant will have its own document and photo storage area with subfolders (similar to the District documents area). 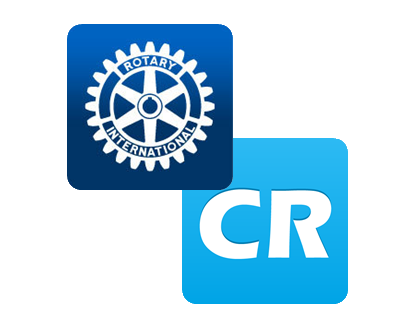 This allows for a centralized storage of all information related to the grant. This also ensures that these files are available for backup and archival reasons. Many file types are supported including photos, PDF’s, Microsoft Word and Excel. Any deleted files will automatically go to a Recycle Bin that cannot be hard-deleted. Furthermore, all major activities are logged. The module will consist of a full logging system to track the audit trail of every grant, with who made the change, the status change and the date. This can be expanded over time to be as extensive or detailed as necessary. In the future, delta changes will also be tracked to store the old and new value of an important field. 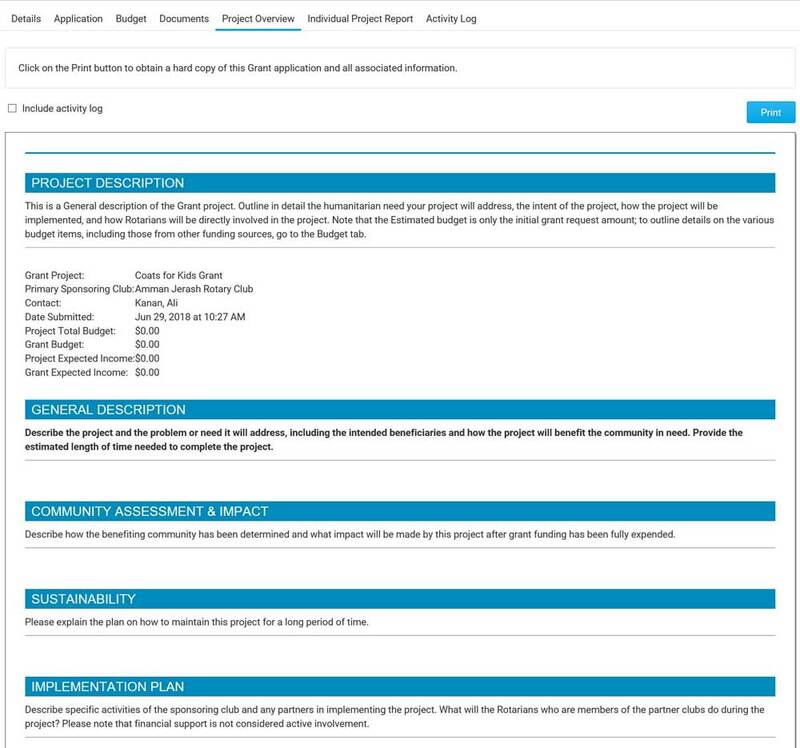 Each grant will have its own budgeting area to fully document the projected expenses in any currency. Extensive financial tracking will ensure that every dollar is tracked with supporting documentation (invoices, receipts, etc.). The system will maintain a record of all bank transactions related to the grant and offer bank reconciliation. The module will generate a full printer-ready package when a hardcopy is needed. This will combine all the entered information, with a budget section, and any areas requiring signature. The district will have extensive reporting to display details for all grants in the district by status, activity, and financials. Summaries will be available to track trends and forecasts if necessary. The District Grant Plan and Report will also be generated for reporting to TRF. The Grant module is available as an add-on for existing ClubRunner subscribers or as a standalone product for non-ClubRunner subscribers. Please note: For non-subscribers, there will be a setup fee of $399 to upload all club and member information. Contact us today to install the module for your District. Download the Grants User Guide to learn more about this module.